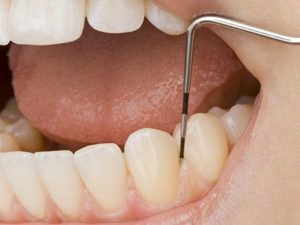 Daily brushing and flossing are the most important task we do in order to keep plaque at bay, for if we don’t, then we will be having many problems dealing with dental calculus. Dental calculus, also known as tartar, gives plaque more room to hold on to and keeps us from effectively brushing our whole mouth. In today’s article we shall give a little more insight as to what dental calculus is, how to prevent it, and how it is removed. Our Los Algodones dentists also wish to remind you to keep your daily oral habits strong, as that will keep your teeth healthy and safe for a good while. What is dental calculus and tartar? Plaque is a sticky and colorless film of bacteria that constantly forms within our mouths. As you know, our mouth houses many different bacteria, some of them are responsible for this plaque. As bacteria stays and sticks to our teeth, it feeds on sugar and starch so it produces plaque, which harms and wears down our tooth enamel. Now, when plaque stays and is not brushed off, then it hardens into dental calculus. Once plaque lingers and hardens into dental calculus, it turns extremely difficult to remove by our own means. It is not possible to completely and safely remove it until we visit a dentist, which has the tools and knowledge to properly deal with it. 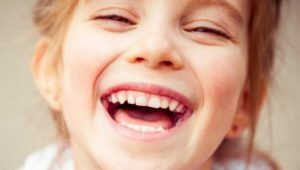 How to know if there is tartar or calculus on your teeth? There are some hints and tips you can do in order to know if your teeth have dental calculus on them. For example, dental calculus is porous and rough to the touch. So if you touch the surface with your tongue, you should be able to tell. There is also the fact that calculus easily absorbs pigments from food and other sources, so it should be a yellow or brownish color to it. In order to safely and thoroughly remove tartar from your teeth, we recommend a professional cleaning. During this cleaning, the dentist makes use of special tools in order to either manually remove the buildup, or through a special ultrasonic device. All of this is done safely and targets all the areas affected and hidden from plain sight. This goes from on top of your teeth to the spaces between them. Is it possible to do at home? Los Algodones dentist warn that it is not possible to get rid of dental calculus with a toothbrush alone. There are, however, certain products that you may attempt to use to get rid of calculus at your own discretion. Some of the most popular are tartar-removal products which come in the form of oils that dissolve the buildup. How do we prevent this buildup? Engage in good oral habits daily. Brushing and flossing are important, but it is also good to know when you should rinse your mouth, as brushing twice a day might not cut it for some people. Brush your teeth at least twice a day. We do not want to let bacteria sit in our mouth longer than intended. This is why we brush before and after going to sleep. Also, the recommended time for brushing is 2 minutes per session. Flossing is important. There are spaces between our teeth that are pretty difficult to reach with the toothbrush. You are also helping strengthening your gums against gum disease this way. Visit your dentist twice a year. This way you ensure that you also have a professional’s blessing onto your daily habits. And even if you do miss something, then your dentist will be right there to help you! No Replies to "Dental Calculus: Being Wary Of Plaque"